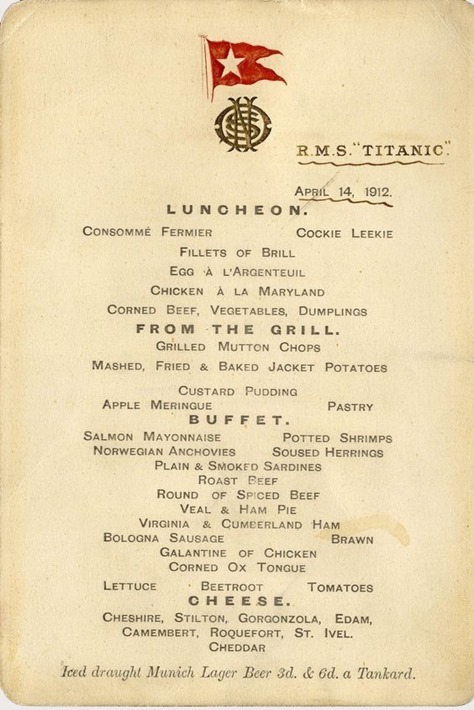 A menu for the last lunch served on board the stricken Titanic is expected to fetch up to £100,000 when it goes under the hammer. A menu, dated April 14 1912, shows the luxury food offered up to first-class passengers on the last day on board the ship. 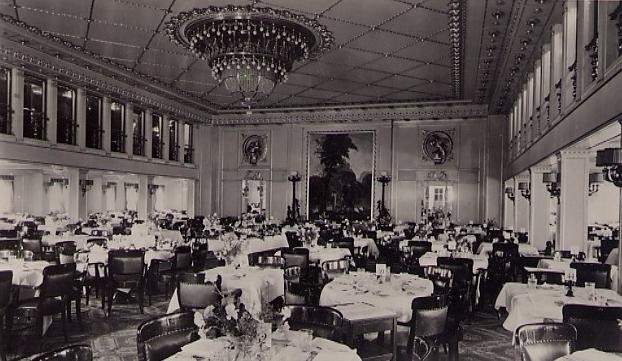 The menu was on the table of first-class passenger Dr Washington Dodge, a prominent banker from San Francisco, who was travelling to America with his wife, Ruth, and son, Washington Junior. Dodge slipped the menu into her handbag before carrying on with her day – unaware of what was to come. Dodge and her son survived the tragedy after being ushered on to a lifeboat and the menu, which had remained in her bag, has stayed with the family ever since. The sale was held by Henry Aldridge & Son – the world’s leading auctioneers of Titanic memorabilia – to commemorate the 100th anniversary of the completion of the Royal Mail Steamer Titanic on March 31. 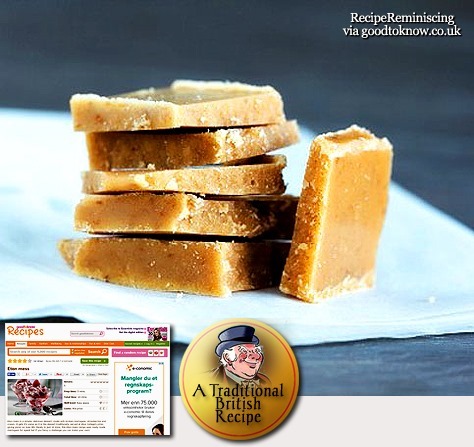 This very sweet traditional Scottish confectionery is very similar to fudge but has a more sugary and crumbly texture. It will keep well for up to 6 weeks and so makes an ideal gift wrapped in cellophane bags or boxes and tied with a pretty ribbon. It is easier to make if you use a sugar thermometer and cook the mixture until it reaches the soft ball stage – 240°F/118°C but can be made without so long as you cook it until the mixture is really thick, and on the point of setting. 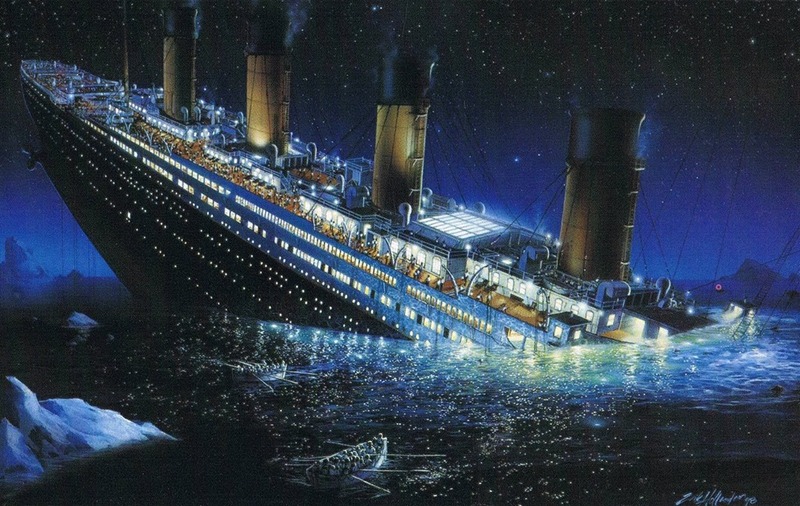 RMS Titanic sank on the 14th April 1912 only four days into her maiden voyage. 1517 lives were lost. 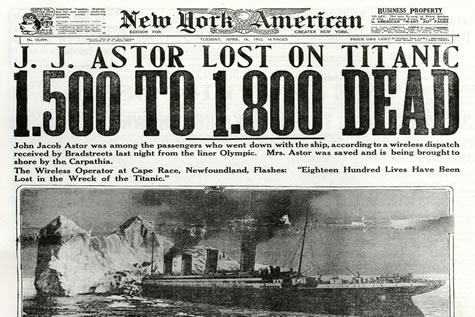 100 + years on and we are still curious, not to just how such an appalling accident could have happened but also what was life aboard the ship like, and particularly, what did they eat? There were three classes of travel aboard, First, Second and Third class, also known as Steerage. The cost of travelling varied hugely with a 1st Class ticket around £800, 2nd, just over £100 and 3rd, a lowly £30. It is no wonder therefore that standards were so varied. 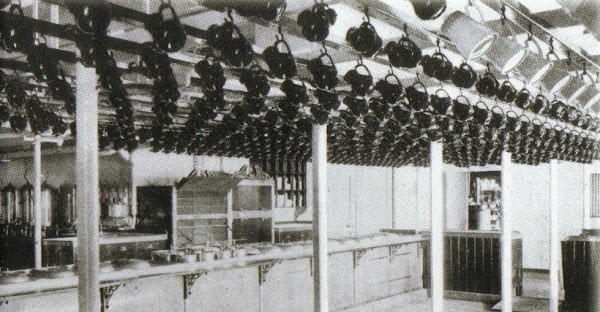 Each class had their accommodation and style of food and service with first and second class food prepared in the same galley situated on D deck. With 2229 passengers and crew on board when the ship set sail and with menus of such varying styles of food, the provisions needed for the voyage was enormous; thousands of pounds of meat, vegetables, fruit and flour; thousands of bottles of alcohol and 14,000 gallons of freshwater were drunk each day. 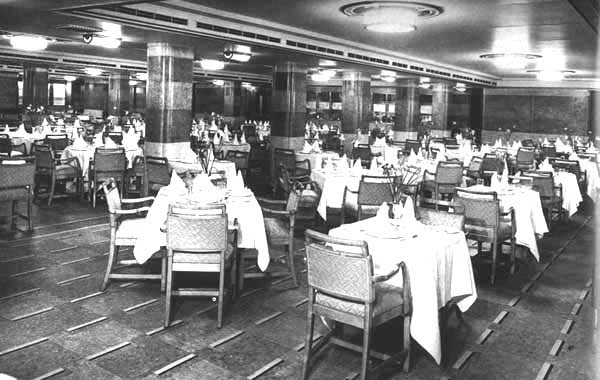 Despite the Titanic being a British ship foods served in first class had more of a continental flavour as was the fashion for food at the time. 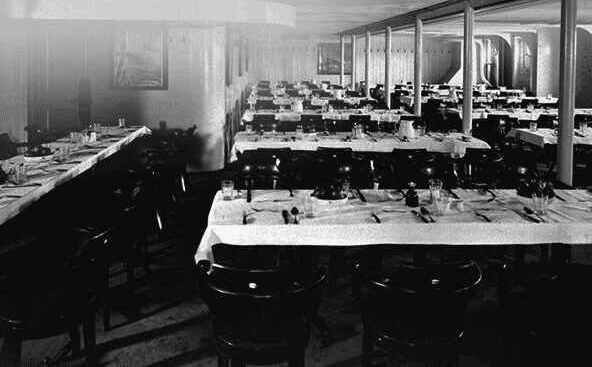 In second and steerage foods would have been less pretentious and more like the simple British and Irish food. Passengers in First Class were by far the best fed. They had paid handsomely for this privilege with their ticket costing eight times more than Second and over 25 times more than Third. As was the fashion in upper-class circles in Victorian times, the food was predominantly French in style, but some of the great British stalwarts like Roast Sirloin Beef still held their own on the menu. Food was closer to home in second class. French rarely appeared with the preference for traditional British food. Curried Chicken, Baked Fish, Spring Lamb, Mutton and Roast Turkey. Pudding was also more homely and on the night the Titanic sank, the doomed second class passengers actually tucked into Plum Pudding, what we now know as Christmas Pudding. It should be noted that food served to passengers in third class was simply scaled down versions of second class, passengers in steerage had little to complain about as for many this food was better than they had been used to.